Another review! 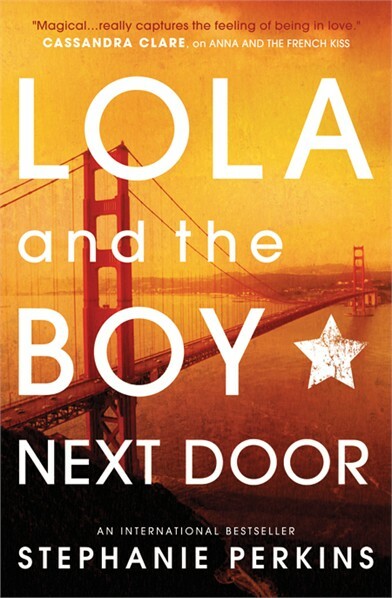 This time about Lola and the Boy Next door, by Stephanie Perkins. This book gets 4 stars, and I'm about to tell you why! Summary (from GR): Lola Nolan is a budding costume designer, and for her, the more outrageous, sparkly, and fun the outfit, the better. And everything is pretty perfect in her life (right down to her hot rocker boyfriend) until the Bell twins, Calliope and Cricket, return to the negihborhood. When Cricket, a gifted inventor, steps out from his twin sister's shadow and back into Lola's life, she must finally reconcile a lifetime of feelings for the boy next door. My opinion: I liked Anna and the French Kiss more, but if I had to choose between Étienne and Cricket, I would definitely choose Cricket! He is so cute and different than other guys. He sees the beautiful part of Lola's costumes, instead of thinking it's funny or weird. And I love that about him. He's such a gentleman even though he's shy. He's intelligent and I understand Lola when she's describing his style, which I TOTALLY approve. My heart completely melted when Cricket and Lola were in the bathroom and he was doing her hair and telling the story about the stars. OMG I JUST SEE THE STAR ON THE BOOK AND I GET WHY IT'S THERE OMG I'M GENIUS HAHA! From that moment untill the end, I was a complete mess. Why can't Cricket come out of the book and be my boyfriend?! Life's so unfair! Cricket was actually the reason why this book got 4 stars. Because I didn't like the storyline overall. And there were some characters I didn't like. To name a few: Lindsey, Max (EW), Norah, Calliope. 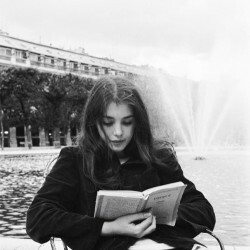 I just didn't like those characters and I still don't get why Norah had to appear in the book. In my opinion, she added nothing to the story. Another thing that slightly irritated me, was that Nathan and Andy were so extremely strict. Maybe that's normal in America, I don't know, but I thought it was very strict. I mean, a month grounding for the boy next door (whom they really liked) in your daughter's bedroom? What's so bad about that? Like boys and girls can't be friends. That was a little bit weird in my opinion, but that can be just me! I did really enjoy the return of Anna and Étienne in this book. It's so cool from Stephanie Perkins to give them a small role in this book, so that we get to know more about how their lives continued without having a whole book about them. I don't even see the books as a series, but because there's a little of Anna and Étienne in, it does make it a series. And I really liked that! They were both so sweet and I think they're gonna be together forever! I'm wondering how both of the couples appear into the next book! So if you liked Anna and the French Kiss, or if you're in for some light reading with a VERY cute boy in it, go and read this book! I hope you enjoyed it, untill next time!